The Wellesley Service League traces its roots back to the fall of 1927, when ten young women of Wellesley decided to organize their efforts to provide volunteer service to the community. The Service League originally concentrated its efforts on assisting the Wellesley Friendly Aid Association in several projects. Within one year, the League's membership increased to forty members, and service encompassed two enduring themes: Youth and Education; and HealthCare and the Elderly. By 1929, the League was providing service through the Convalescent Home, including the provision of remedial reading services, and supporting the cost of an Occupational Therapist at the Convalescent Home. The League also paid a doctor's salary at the Eye Clinic until 1945, when the Eye Clinic was transferred to the Newton Wellesley Hospital. During the 1930s, the League began providing Thanksgiving and Christmas baskets to low-income families, running a camp for tubercular children, and sponsoring the Edna Currier Noyes parties for needy children. These parties were the roots of the annual Toy Shop currently held in November of each year. In the early years of World War II, the League created a standing Red Cross Committee to serve at the Bloodmobiles. Red Cross blood drives are still an important service where the League provides assistance today. Then in 1947, services were expanded to include Newton-Wellesley Hospital, including ward work, clerical and newspaper services, and preparation of provisions for the Central Supply Room. Today the League works at the Newton-Wellesley Hospital Thrift Shop. The Wellesley Service League continued to broaden the nature of services it provided over the ensuing decades. 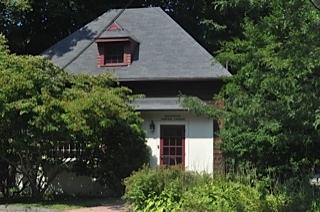 In the 1960s, League members began working with special needs classes in the Wellesley Public School system, and formalized work with clients with developmental disabilities through the Charles River ARC. Today our work has expanded to helping in Art and Music Therapy classes at the Charles River Center, which are very meaningful services in the community. The 1970s brought new opportunities to work on the Junior High School tutorial program, and the Well Child clinics through the Board of Health. Today, we assist with annual flu clinics under our Special Projects Committee, a committee which responds to special community needs. We also have a very popular monthly after school program with the students of the Barton Road Community providing a healthy lunch and fun activities. By 1980 we began to help staff the Meals-On-Wheels program for the elderly. Later, a new project was initiated with the Wellesley High School Planning and Placement Center, helping students to find information on colleges and job opportunities. In 1988, our work expanded to a new project assisting with book mending and circulation at the Wellesley Free Library, and today we provide shelving services there. Our services continued to expand in the 1990s with seasonal clothing drives, work with the Food Pantry, and Elderly services. In conjunction with the Wellesley Friendly Aid Association, we run a weekly program and provide transportation for the Friendship Circle Ladies and a monthly Men’s Group for the seniors in our community. In the last 10 years we have added services to the Wellesley Historical Society, Dish and Deliver (where we deliver meals for women suffering from cancer through the Ellie Fund and Dream Dinners) and the A Better Chance (ABC) students. 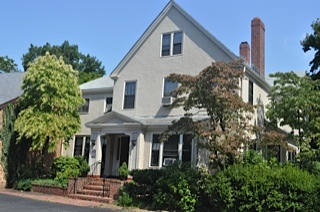 During the summer of 2012, the League moved its permanent headquarters to the Wellesley Friendly Aid Association building within the same campus at 219 Washington Street. On average we provide more than 5000 hours of service from September to June through the dedication and hard work of our 75-80 members. The growth in our reach of service has been consistent with the Founders' original charter of providing volunteer services to cultural, education and other charitable organizations which serve the Town of Wellesley. We are proud of our contribution to the community and are committed to adapting to its changing needs in the future. View our list of Past Presidents as well! We also encourage and reward our Wellesley youth for their commitment to Service. Our annual Centennial Youth Service Award is give to two Wellesley residents completing their senior year in high school, who have demonstrated unusual dedication and selflessness in a volunteer capacity. Each recipient receives a $1,500 award and their name engraved on a permanent plaque that hangs in the Wellesley Community Center. Click here for more information/application on the Centennial Youth Service Award. See also this distinguished listing of prior award recipients!